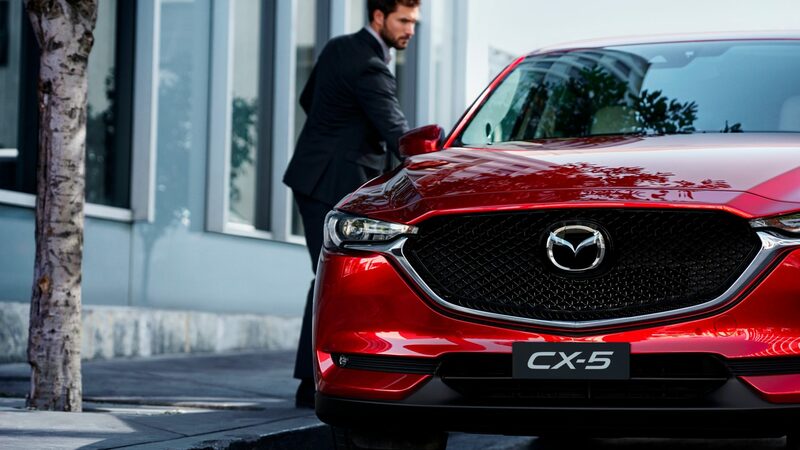 Mazda Australia has expanded Mazda Service Select across the entire current model range to provide added value and convenience for every customer. Mazda Service Select allows Mazda customers to service their car every 10,000km or not longer than 12 months, whichever comes first. All Current owners and prospective Mazda customers are also able to view a full list of service prices for all Mazda models via the Mazda website or from any Mazda dealer. With Mazda Service Select, the price of every scheduled service is determined on both the distance travelled and the time from the last service, whichever comes first. This can be calculated on the link below and this program is offered for the life of the vehicle – something not offered by any other manufacturer – meaning as our customer & a customer of Mazda you can look up what your servicing costs will be at any time in the future. This approach differs from most other Service Programs offered by other brands which are only designed to run for only a limited duration and expire at either three or five years. CONVENIENT AND COMPLETE, GENUINE MAZDA SERVICE WHILE YOU WAIT. If you are a customer that likes to wait whilst their car is serviced, a Quick-Smart Service is perfect for you. We offer the convenience of Quick-Smart Mazda Service. A full scheduled service while you wait in our comfortable cafe with free Wi-Fi and coffee. In most cases, we can have you back on the road within the hour and all for no extra cost. Express Servicing – Limited to 1,000km, 10,000km, 20,000km, 30,000km, 50,000km Scheduled Mazda Book Services. Major services for 40,000km, 80,000km and 120,000km we require your vehicle for a longer period. Come in and experience our newly renovated service waiting lounge while your vehicle gets a wait time service. From comfortable seating with a freshly made coffee and baked goods to a computer table to catching up on your work while you wait. Otherwise we offer a complementary shuttle service to the local area leaving at various times throughout the day or you may prefer a loan vehicle in stead. What ever the need just ask one of our team and we can accommodate. At Paradise Motors Mazda we service all makes and models. Our Factory trained Technicians use the latest technology and equipment to service and maintain your vehicle ensuring peak performance and reliability. Our multi award winning authorised Mazda Workshop is RAA and MTA approved. We offer all mechanical repairs including brakes, suspension, air conditioning, and cooling system servicing and maintenance. We specialise in tyres, four wheel alignment and wheel balancing. We are proud to have 9 qualified Mazda Master Technicians in our workshop (the most of any Mazda Dealer in Australia) ensuring the highest quality of work completed. At Paradise Motors Mazda, you have the peace of mind that we will do the job right, whether it’s mechanical, crash or a range of specialty services. All service vehicles have a complementary quick wash and vacuum. We offer our customers Safe-T-Stop technology for $12.50. Simply fill out the book a service form or call us on 8337 3377 to book your service today. Paradise Motors Mazda’s servicing team are experienced Mazda technicians, dedicated to ensuring your Mazda always runs at its peak performance level. We believe that regular servicing is important in ensuring that your New, Used or Demo Mazda maintains its long-term performance, efficiency and safety. When it comes to keeping your Mazda in tip-top shape, trust Paradise Motors Mazda. Not all cars are the same, and no one knows your Mazda better than a trained Mazda service technician. Our Mazda technicians use only the latest automotive technology and genuine Mazda parts. They have undergone extensive training to ensure they know every Mazda model in intimate detail, which means they have the knowledge to provide the best possible protection of your vehicle. If you would like to book your vehicle for a Mazda genuine service at our Paradise Mazda dealership, Contact a member of our friendly team today.